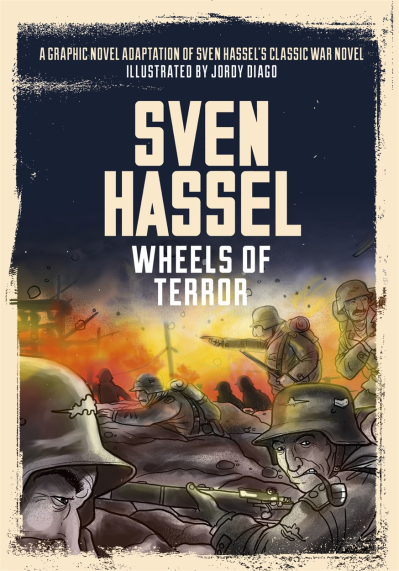 This week sees the UK publication of the graphic novel adaptation of Sven Hassel’s 1959 novel, Wheels of Terror. Adapted by Hassel’s family, and brought to life by the stunning artwork of Spanish artist Jordy Diago, the book is published to mark the 70th anniversary of the end of World War II. To celebrate the book’s release, the publisher have very kindly made the complete Chapter 9 available to Reader Dad for everyone to enjoy. Click on the image below to download the PDF file and enjoy this beautiful, if gory, glimpse at life on the Front.